The Breakers' lofty power forward, 1.98-metre-tall Mika Vukona, sees off a challenge from Eddie Gill of the Townsville Crocodiles during an Australasian National Basketball League (NBL) match in Auckland in 2012. At this time Vukona, a three-time NBL champion player, was also a member of New Zealand's national basketball team, the Tall Blacks. 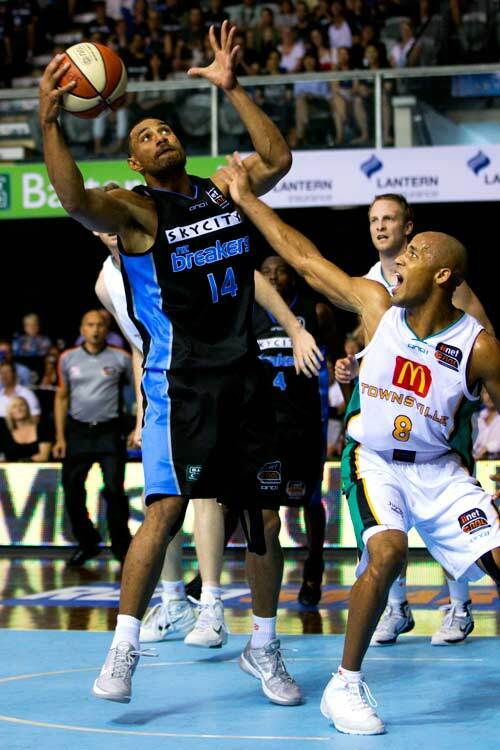 The Breakers, the only New Zealand team in the NBL, won its championship in 2011, 2012 and 2013.